New ISC V2 rear adjustable control arms are now available for the 08+ Subaru WRX/STI and Subaru BRZ and Scion FRS. A product that surpasses its competition by having better quality, availability, and price! This product is ideal for anyone with a 08+ who is lowering their vehicle on coilovers or even lowering springs. Using these adjustable arms will allow you to obtain correct camber settings, and in return a functional alignment and stance. ISC adjustable control arm is 6 times stronger and stiffer than OEM, allowing for better performance when you are pushing your vehicle to the limit. The V2 control arm is now also 1 lbs lighter than the original while maintaining the same strength as the V1. 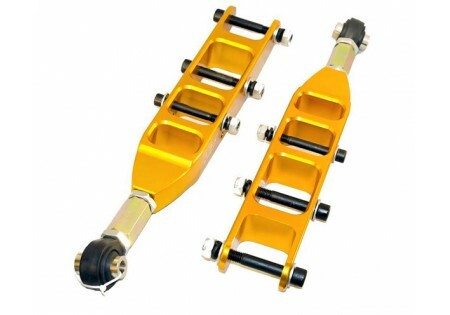 The highest grade hardware is included, and the control arm itself is constructed of CNC machined 6061 aluminum with an anodized ISC gold finish. ISC logo is engraved into the arm as well for a sharp cosmetic appearance. These rear adjustable control arms are designed to be easily adjustable and durable for a lifetime of hard cornering and suspension abuse. The V2 control arm also now features 2 mounting points for rear endlinks, providing even more aftermarket solutions. 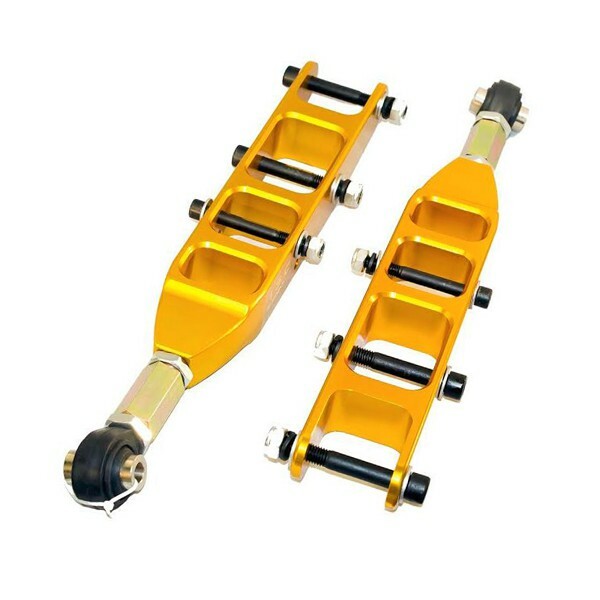 Whether you use your car as a daily driven street car with a nice stance or a track monster, these adjustable control arms will make your suspension work better, hands down.